Ankle sprains are one of the most common musculoskeletal complications. I, myself have suffered at least 3 in my lifetime from various sporting activities. Ankle sprains are divided into 3 grades. Grade 1 is mild damage to the ligaments in an ankle. Grade 2 is partial tearing in the ligaments in the ankle causing some instability. Lastly, Grade 3 is complete tearing of the ligaments in the ankle causing some moderate instability. If you have every suffered an ankle sprain, you probably visited a physician that told you to: “Ice it down and rest. Try to elevate it some throughout the day.” This type of treatment is the PRICE protocol: protect, rest, ice, compression, and elevation (PRICE). 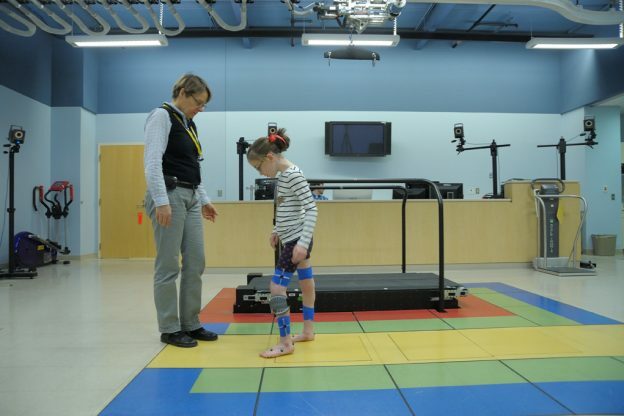 Along with this protocol, patients are often encouraged to decrease weight bearing on their affected ankle. What you may not know is that there is a different treatment approach that may decrease pain and increase function faster. One particular study I found compared PRICE therapy to accelerated rehabilitation involving exercises and early weight bearing. This study included 101 participants between the ages of 16 and 65 who suffered an acute grade 1 or grade 2 ankle sprain. One group (n = 51) received standard PRICE intervention. Both groups were instructed on the application of ice and compression 3 times per day with 10 min of application followed by 10 min of rest. The accelerated rehab group (n = 50) was instructed to perform exercises including: strengthening, neuromuscular retraining, and sport specific activities in addition to ice and compression. The primary outcome measure was subjective ankle function. In order to measure this, the Lower Extremity Functional Scale (LEFS) was used. This scale is a questionnaire including 20 questions about functional impairment in the lower extremities. 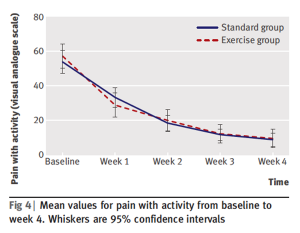 Other outcomes assessed included: pain at rest, pain with activity, swelling, and activity level. These variables were assessed prior to treatment and at each week for 4 weeks. The results showed improvements in both groups. 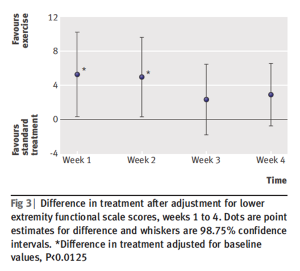 However, after only 1 week, the accelerated rehab group was more active and demonstrated greater weight bearing in comparison to the PRICE group. 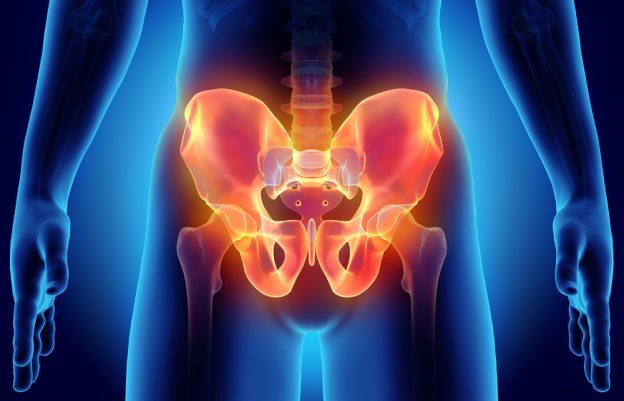 The accelerated rehab group also demonstrated lower pain ratings and higher LEFS scores. I believe the strengths of this article are the graphical data, which is presented below. The tables and graphs are concise and allow the reader to interpret the results easily. On the other hand, there are some weaknesses that could make this article and this study better. One weakness is lack of information regarding the protocols. For example, the type of protection in the PRICE protocol was not explained. 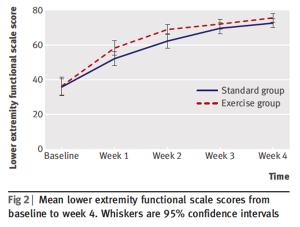 The specific exercises performed in the accelerated rehab group was not discussed either. I would like to know more details regarding these interventions. I believe healthcare providers, especially physical therapists, can benefit from the knowledge contained in this article. Sometimes “standard” protocol is not considered best practice and other options should be considered. With that in mind, when treating a patient with an acute ankle sprain (grade 1 or 2), consider exercise instead of PRICE alone. Possibly, PRICE in conjunction with exercise may be the best treatment option. Bleakley CM, O’connor SR, Tully MA, et al. Effect of accelerated rehabilitation on function after ankle sprain: randomised controlled trial. BMJ. 2010;340(may10 1):c1964.